The ticket Machu Picchu + Museum offers one of the most amazing cultural experiences in the world. Not only because it will visit the ancient Inca City, but also the Manuel Chávez Ballón Site Museum, a place that houses finds from the excavations carried out in the Inca site. How much does the ticket Machu Picchu + Museum cost? Is it worth visiting the Machu Picchu Museum? What does the ticket Machu Picchu + Museum include? Do I have to book the ticket Machu Picchu + Museum in advance? What to see in the Machu Picchu Site Museum? How to visit Machu Picchu and the museum? Free entrance to the Machu Picchu Museum! The price of this ticket depends on the nationality and age of the visitor. There is also a discount for students with a university card. The availability is 2,500 tickets per day (depends on the entrance Machu Picchu Only). Adult 174 S/. Adult 86 S/. Student 88 S/. Student 86 S/. Child (8 – 17 years old) 77 S/. Child (8 – 17 years old) 32 S/. * The countries that make up the Andean Community are: Peru, Colombia, Ecuador and Bolivia. The prices are in Peruvian soles. The visit to the Inca City of Machu Picchu is one of the most incredible cultural experiences. The tour combines archaeological remains with the most amazing nature. However, due to the geography and circumstances of the site, it is not possible to show some findings that were made in the place. The Manuel Chávez Ballón Site Museum was created to exhibit these important findings. The visit to the Machu Picchu Museum is worth it. Especially if it complements the tour of the Inca City. The museum exhibits ceramic, bone, lithic remains and tools that were used during the excavations. What does the Machu Picchu + Museum ticket include? This ticket includes a visit to Machu Picchu, the Inca city built in the 15th century, and a visit to the Machu Picchu Site Museum ‘Manuel Chávez Ballón’. Income from Monday to Sunday from 9 a.m. to 4.30 p.m. The ticket Machu Picchu + Museum can be booked up to days in advance. However, remember that if you come in high season (from April to October) all tickets must be reserved with time. During peak tourist season it is advisable to make a reservation at least 2 weeks in advance. It is also important to separate train tickets, hotel reservations and other tours with time. Book your ticket Machu Picchu + Museum with us. In less than 24 hours, you will receive 2 tickets: one to enter the Inca City of Machu Picchu and the other for the Site Museum. Machu Picchu – Cultural Heritage of Humanity and Wonder of the World, offers one of the best cultural experiences in South America and, without a doubt, one of the most important in the world. Machu Picchu Museum – The Manuel Chávez Ballón Museum offers an exhibition of how the process of finding, excavating and putting the Wonder of the World into the public really was. The Manuel Chávez Ballón Site Museum is located at kilometer 112 of the railway line to Machu Picchu (at the height of the ‘Ruinas’ bridge). It is reached by crossing a 15-minute road that departs from the train station of the town of Aguas Calientes. The Manuel Chávez Ballón Museum exhibits Inca remains (ceramics, bone remains, lithics, etc.). 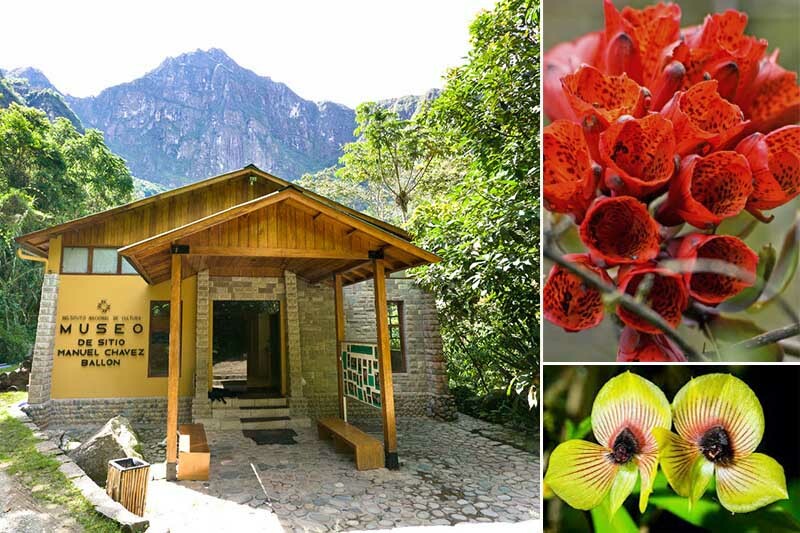 Next to the museum there is a botanical garden that exposes the diversity of flora in the Historic Sanctuary of Machu Picchu. Exhibition of Inca remains – The museum has a dynamic permanent exhibition, divided into 7 stages. Among the most important sample is a collection of artifacts such as copper and bronze construction tools. In addition there are pins, needles, tweezers and other objects of daily use in the Inca City of the XV century. Cultural exhibition – The exhibition also shows the mastery the Incas had to work stone quarries. In addition, it exhibits the rustic tools that the Incas used to build their incredible structures. The Botanical Garden of the Machu Picchu Museum – The Machu Picchu Museum also houses a beautiful botanical garden. There you can see many of the 500 types of orchids that exist in the Historic and Natural Sanctuary of Machu Picchu. Some of these can not be seen anywhere else in the world. The Inca pieces exhibited in the museum are some of the objects returned by Yale University during the excavations of explorer Hiram Bingham. 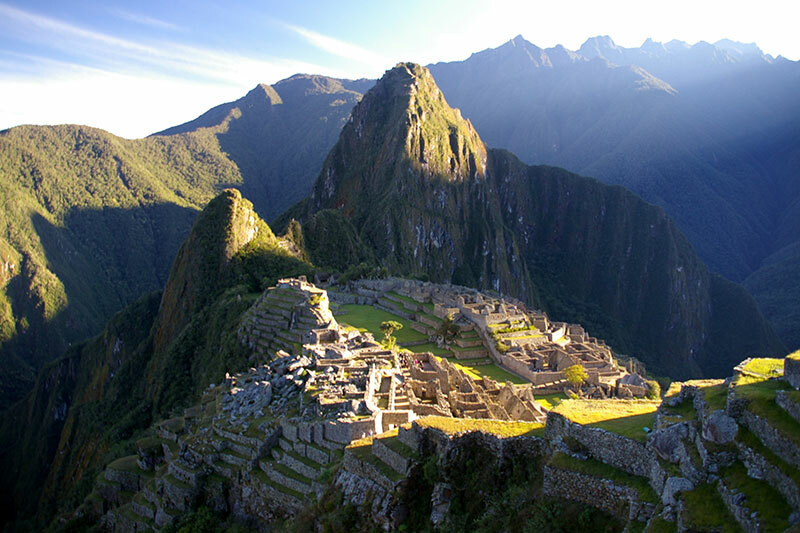 To visit the Machu Picchu museum, first, you must reserve the ticket Machu Picchu + Museum. At the moment of acquiring the ticket, you must choose the morning shift or the late shift. Machu Picchu in the morning and the museum in the afternoon – Visit the Inca City from early morning to see the sunrise and explore the archaeological sites with amazement. Thus, the visit to the Site Museum in the afternoon, is more understandable. The museum in the morning and Machu Picchu in the afternoon – Visiting the museum in the morning allows you to go better prepared and with a general idea of ​​what Machu Picchu means. Thus, the tour of the Inca City in the afternoon is more understandable. Do you want to visit the Manuel Chávez Ballón museum without paying? Now the entrance in the afternoon (from 12 pm to 4.30 pm) is free for all the public. The visitor only has to present the identity document or passport in the door of the enclosure. To enter in the morning, you can pay the entrance ticket at the door of the museum. Another option is to acquire the ticket Machu Picchu + Museum. This entry includes the tour of the Wonder of the World.